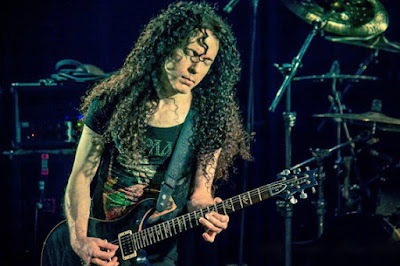 MetalRockNews: Former Megadeth guitarist Marty Friedman: "Metallica's 'Black' album is the single most important album in metal"
Former Megadeth guitarist Marty Friedman: "Metallica's 'Black' album is the single most important album in metal"
Former Megadeth guitarist Marty Friedman was recently interviewed by FoxSanAntonio.com, you can read some excerpts below. He that he has nothing but respect for his former band: "My years with Megadeth was a great period of my life. We were able to create a unique sound and it was a fantastic partnership. I wouldn't want to trade any of my time with Megadeth for anything. It helped me grow as a musician. It really taught me so much about showmanship and working well with others." He continued: "What I liked most is that we were all together with one goal. We didn't compromise when it came to making music. And we put out some great albums during my time in the band." About the status of metal as a genre, Friedman pointed to Metallica's self-titled album as a defining release which helped introduce this brand of music to a whole new audience. He said: "In my opinion, Metallica's 'Black' album is the single most important album in metal. The sound of metal could have been long gone, but that album helped metal find its place in the mainstream." He added: "Metal is not the easiest music to play, and its even more difficult to make sound good. Metallica was able to combine all that was good about metal without compromising who they were. There are some of the best metal songs on that album like 'Enter Sandman', and it really opened the door for so many bands."